Everyone needs at least two marinara recipes up their sleeve: one that cooks low and slow and one that you can whip up in just minutes. I have finally found my favorite quick sauce, which was inspired by Gina over at Skinny Taste, and I can’t wait to share it with you. (Thanks Gina!!) Packed with incredible flavor, made in one pot, and ready before the pasta reaches al dente, this quick sauce meets all my requirements for a delicious, fast, and healthy pasta sauce. Enjoy! What’s your favorite sauce for pasta? Let me know below! You can easily freeze this recipe if you are not planning to use the entire three cups within a week. Be sure to use the highest quality of crushed tomatoes as possible, as this greatly impacts the taste of your sauce. This sauce is not only a perfect pair with pasta, but is also great for topping your pizza, dipping mozzarella sticks, topping your chicken parmesan, layering with lasagna, the options are endless! In a medium sauce pan heat olive oil over medium heat. Add garlic and saute 1-2 minutes, or until fragrant. Add tomatoes, bay leaf, Italian seasoning, sugar, salt and pepper. Cover and let simmer over medium-low heat for 15-20 minutes. Turn off heat, remove bay leaf and smashed garlic, and stir in fresh basil. Thank you for posting this! I've wanted to make my own marinara recipe and didn't know where(or have the motivation) to start. I was intimidated, but you gave me the courage to try. Thanks Meg, your comment just made my day:) I hope you give it a try and enjoy! Love the idea of a quick marinara! I've never made my own because so many involve standing near a stove for hours–nope, not gonna happen. My favorite tomato sauce is only good in the summer–fresh garden tomatoes chopped up with lots of basil, garlic and onion. 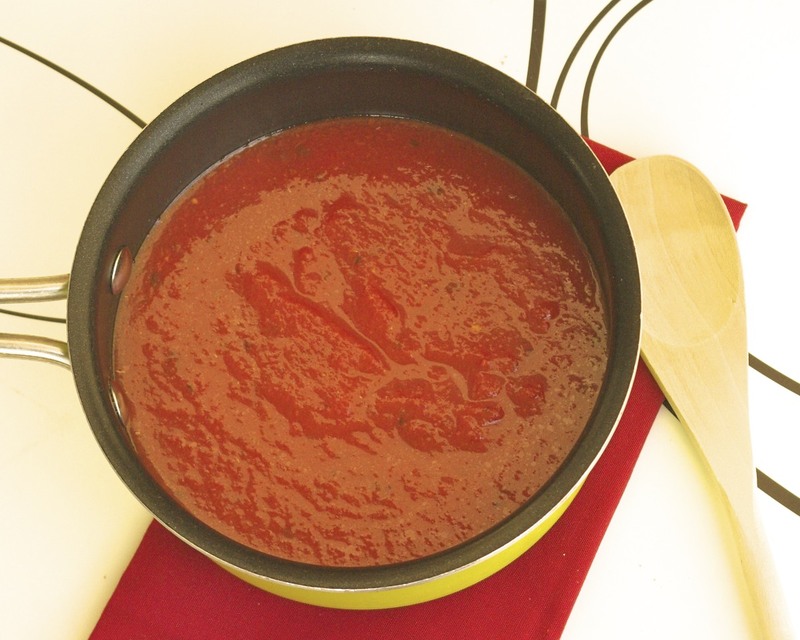 No cooking needed, just a cool fresh sauce to put on top of warm pasta!